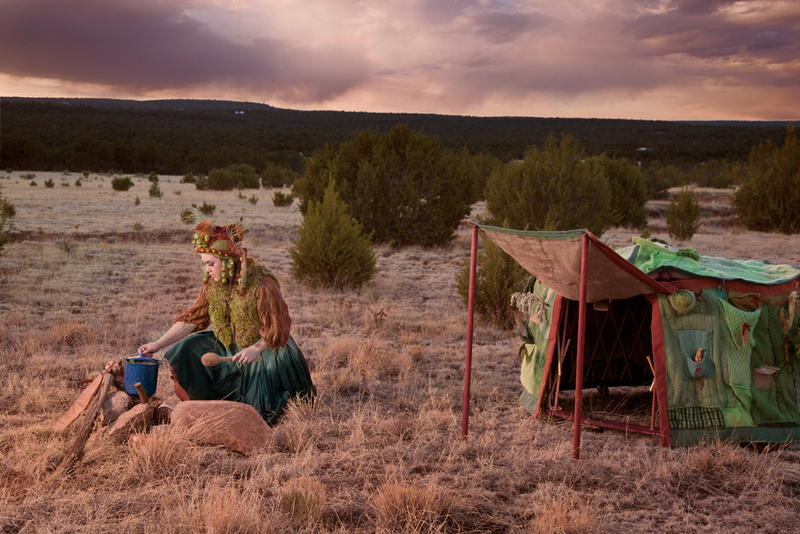 The Nomadik Harvest Dress was part of the Flatlanders and Surface Dwellers exhibition at 516 Arts in Albuquerque New Mexico. Curator Lea Anderson invited me to come down and give a talk about my work and so I took the opportunity to also have the Ms Cornucopia, this time embodied by Korie Tatum, cook up a dish of Cholla cactus buds. I met with local native plant forager, Amy White, who took me out to gather plants, which was the highlight of my trip. We also went out to the desert to take some photos of the dress in it’s natural habitat. Special thanks to Rhiannon Mercer Simpler and her husband Trent for having us in their home and also to Marge and Wolf for letting us onto their land. I had been to ABQ a few years ago for the Land Art Symposiumand since then i had imagined one of my pieces in this sparse but rich landscape. Thank you to all who helped make this vision possible. Go to this Flickr page to see more photos and Special thanks to gallery assistants Teresa Buscemi and Claude Smith, who took photos and brewed up a large pot of Navajo Tea for the event. 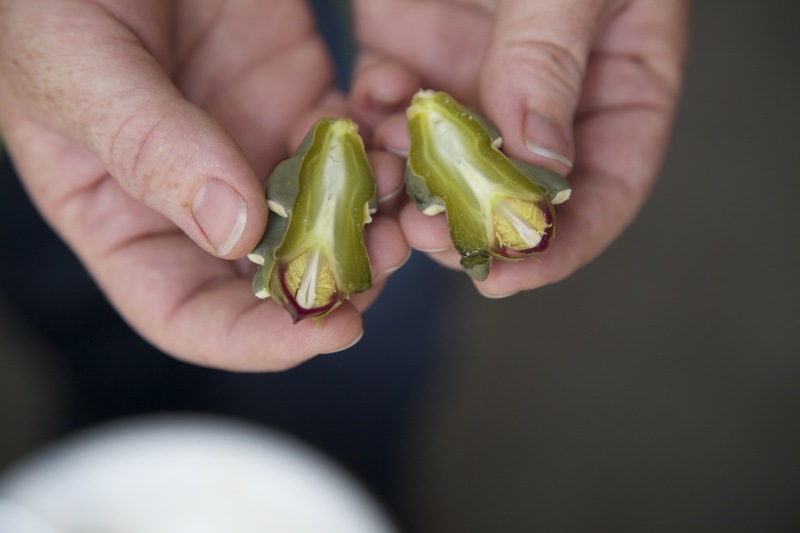 View video of the Tohono O’odham picking Cholla, one of the desert’s super foods.